Nothing beats a home-cooked breakfast. Make any morning better by cooking Chicken Tocino. Make sure you have garlic fried rice ready. 3. Marinate in the chiller overnight to absorb flavor or may cure for more days in the fridge. 4. 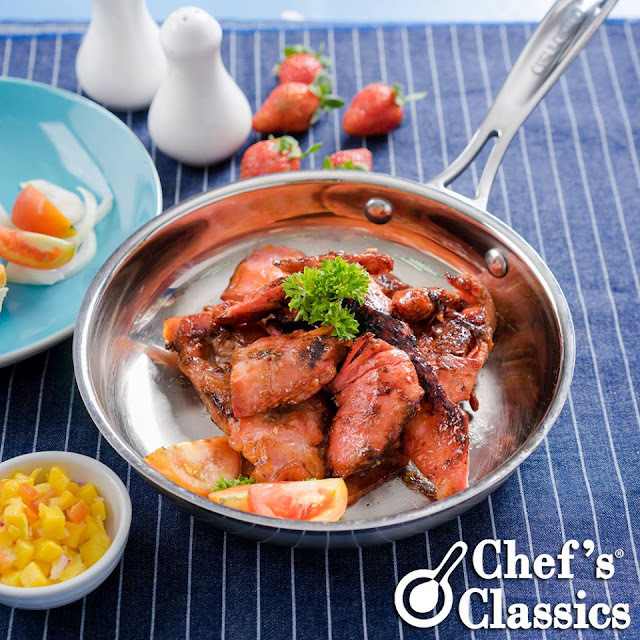 Heat Chef's Classics Fennel Frypan, sprinkle a tsp of cooking oil and fry chicken tocino using low to medium heat. Tip: You can even separate a batch for longer curing and just cook whenever you want to.